Siemens Vectron DE 247 906 near Zorneding, Germany, on January 11, 2017. Picture by Thomas Stenzel. 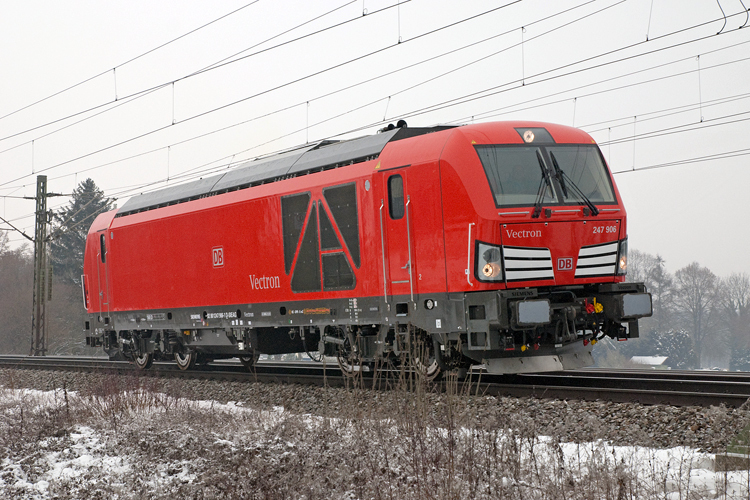 Soon, DB Cargo Deutschland will commence operations with four Vectron DE locomotives on long-term hire from Siemens. It has been indicated that the locomotives involved are 247 902-904 and 906, and that all four will enter service in the well-known DB 'Verkehrsrot' livery. 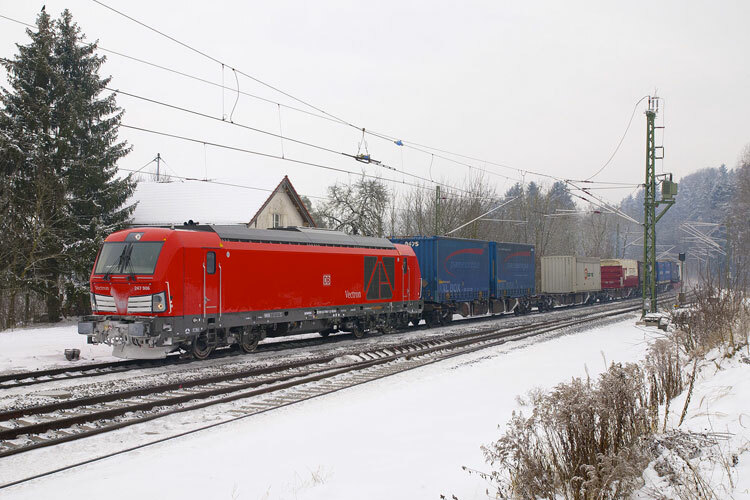 On January 11, loco 247 906 was already out and about, but not yet in service for DB Cargo. Thomas Stenzel was so friendly to let us publish his pictures, as published in this post. Siemens Vectron 247 906 passing through Aßling, Germany, on 11.01.2017 with a Lokomotion freight train (Kufstein - Munich). Picture by Thomas Stenzel.